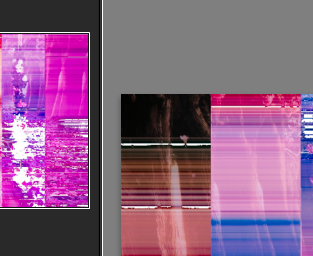 When I'm trying to import to Lightroom CC 2015 my photos taken in my Canon 5DS using the format RAW(cr2 files) some photos are being messed. I've already tried to upgrade the Camera Raw codec to version 9.8 and still not working. My PC has a NVIDIA 750g ti, Win10 64, Lightroom CC 2015 64. [UPDATE] - It's not the same question was marked here, once I don't get any message from Lightroom, telling me my files are in fact corrupted. It is a codec problem between the Canon codec and Lightroom's one. Uninstall both and reinstall only lightrooms again. Not the answer you're looking for? Browse other questions tagged canon lightroom raw or ask your own question. Why do images get “corrupted”? What corrections does MS Camera Codec Pack apply?